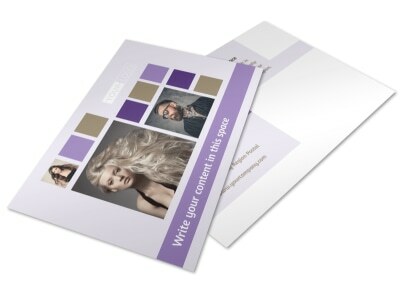 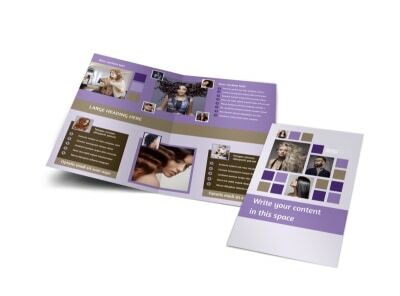 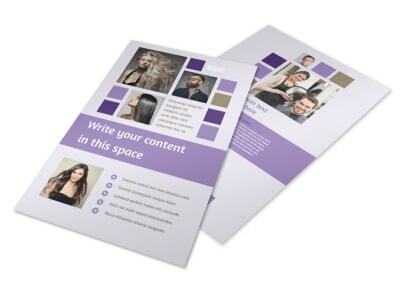 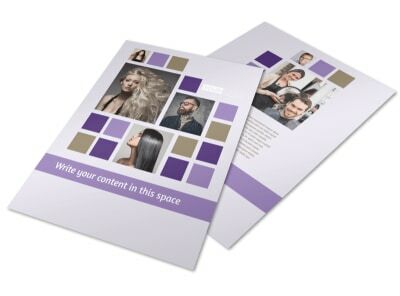 Customize our Creative Hair Salon Postcard Template and more! 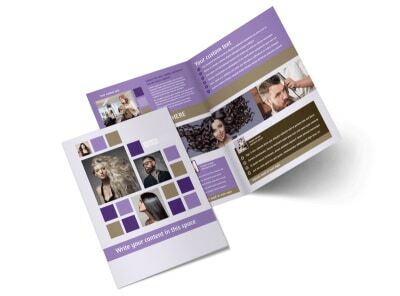 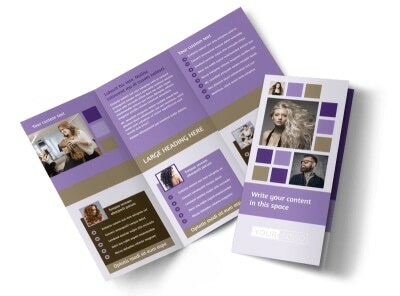 Position yourself as the "it" stylist with creative hair salon postcards detailing a special promotion. 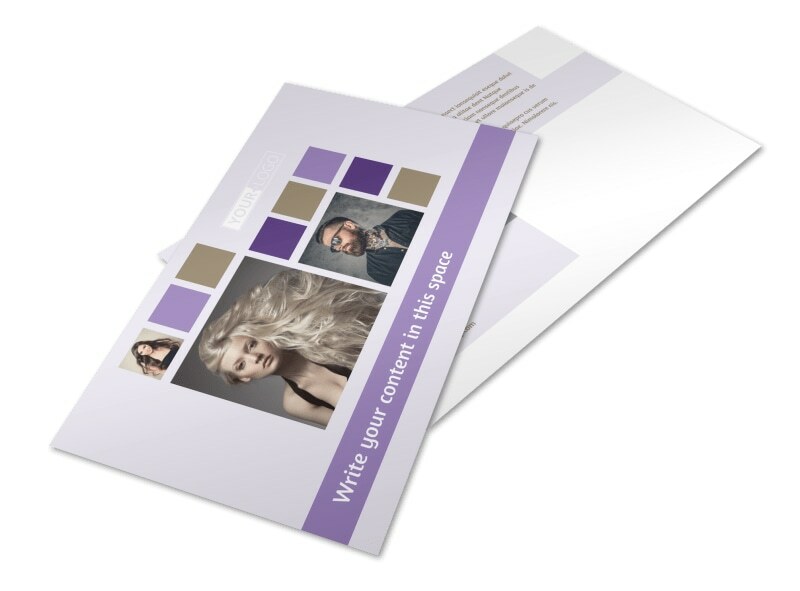 Hit your mailing list with details of a dollars-off, new customer, or other special using custom text and uploaded images. 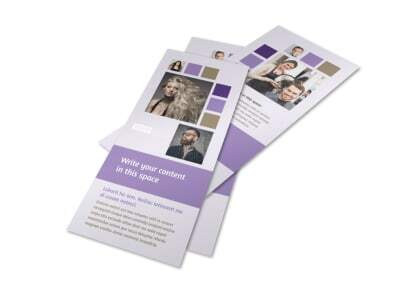 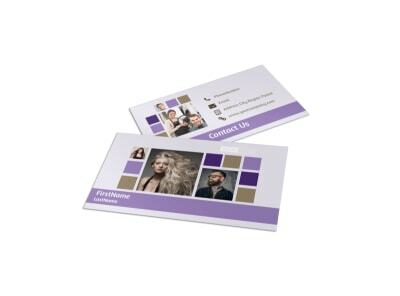 Design your card front and back, and then print your cards from your location to get them in the mail quickly.